What a difference a festively decorated table makes to Christmas dinner. 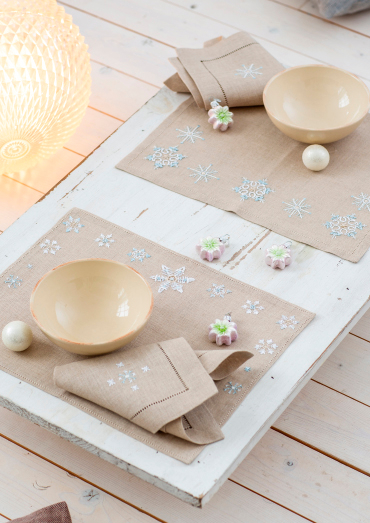 Delight your guests with a sparkling combination of a matching place mat and napkin set. And best of all, if an unexpected guest shows up, you can make another set in the twinkling of an eye.